Every hard partier knows the importance of pre-gaming. You get to show up to the club fashionably late and still have a buzz going that makes those $15 drinks seem not so bad. Plus you’ll already be loosy-goosy for the hottie with the toddy on the dance floor. But those hard partiers also know the eternal struggle of getting your crew to agree on where to pre-game. That’s where we come in. We’ve put together this short list of options for your partying pleasure. Take your first few shots at the bars, then head to the clubs for a night to mostly remember. And if you feel like we forgot any mashups that are musts, be sure to let us know in the comments. Don’t hold back. We can take it. Centrifuge has everything you need to circle up for your night. Photo courtesy of MGM Grand. Lots of hotels in this town have circular center bars that give 360 degree views of casinos. If you guessed that Centrifuge is one of those then congratulations, you win nothing; because of course it is. Now, if you guessed that Centrifuge is one of the best casino bars in town then congratulations again. You really get this game. Centrifuge may seem simple, but that’s what makes it so perfect for pre-gaming. Its location is perfect for strolling in from the Strip, downing a brew before hitting the town, or pre-gaming before heading up to Hakkasan. Hakkasan is that special place where everything goes to plan. 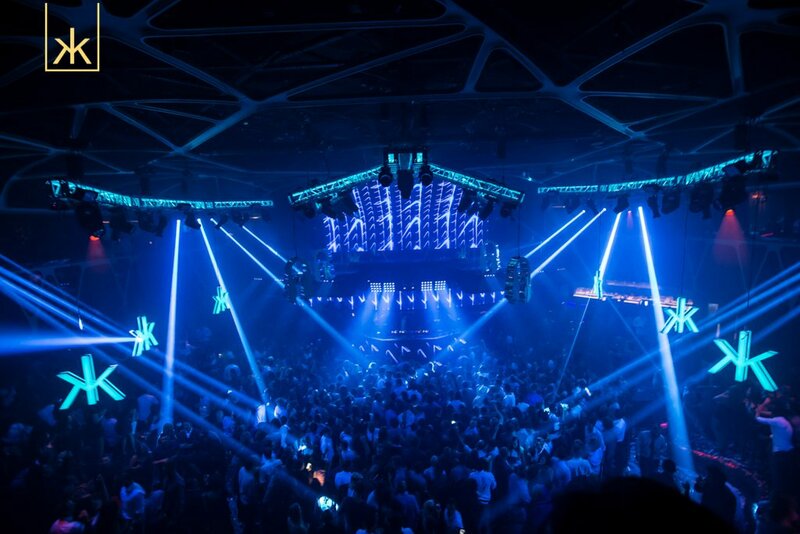 Photo courtesy of Hakkasan. What makes Centrifuge the perfect addition to the evening is that it’s much more down-to-earth than the mega-club nearby. Hakkasan is a place of extravagance and indulgence. You’ll spend your night in luxury, surrounded by beautiful people and even more beautiful music. Centrifuge is the perfect place to prep your game or to come back down with a nightcap. The place to drink for that little part of you that never left Wonderland. Photo courtesy Wynn Las Vegas. Everything at Wynn has a sort of flowing, ethereal ambiance to it. That place has more flowers than an overcompensating prom date. But everything about it is magnificent. So when we talk about pre-gaming at Wynn, we should probably call it something like pre-art-gallerying or pre-socio-economic-saloning because this is a place where sophistication reigns. The Parasol bars, Up and Down, are the perfect places to start your night because they maintain that elegance while still being approachable. And the view of the Lake of Dreams is even more spectacular right before you head in the depths of Intrigue. The intriguing thing about Intrigue is that Intrigue is an intriguing place. Photo courtesy of Intrigue. When you’re walking past the desk and down the stairs to Intrigue, you’ll start to get a sense of the sultry seclusion that awaits you. 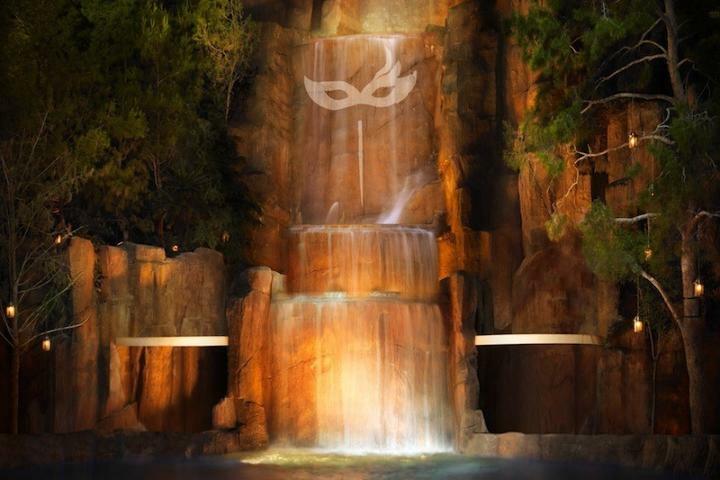 Unlike the Lake of Dreams, the small water feature and waterfall at Intrigue are all about the intimacy for only the people there. This club will keep your night in tight and never let you go without a fight. Get this drink. The Breakfast Martini. Just get it. Photo courtesy of Bound. Bound is one of those bars that just does everything right. It’s got the cocktails to keep you coming back night after night, and it’s just the right size to make you feel at home while reminding you that there’s plenty left to explore. 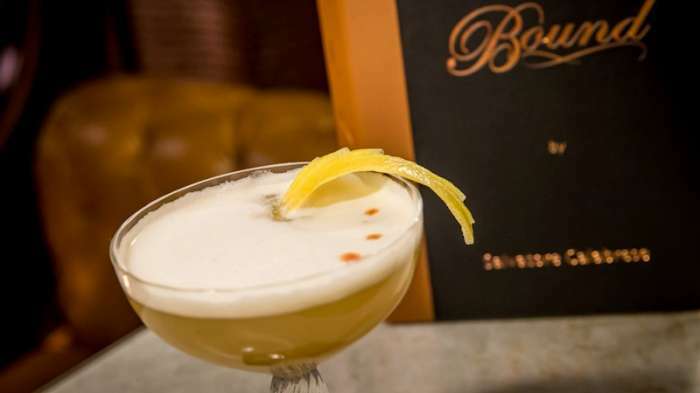 Even if you’re starting your night late, you should still pop for the breakfast martini. Hey, you hard partiers might have just woken up a few hours ago. Whatever you choose to drink, be sure to talk it over with the bartenders. 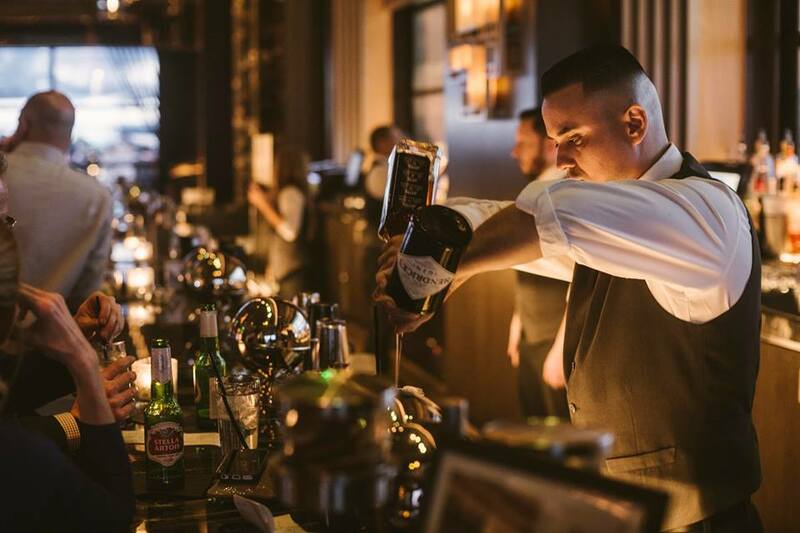 These people are experts in mixology and they’ll be able to set you on a drinking course for the evening that will take you from Bound to Drai’s to wherever the night takes you next. Go to this club. Be one of these people. Photo courtesy of Drai’s. 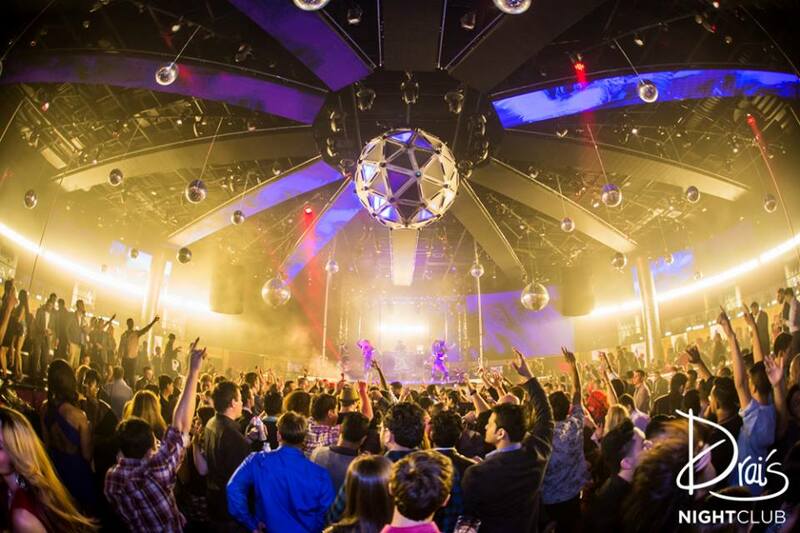 Once you get up to Drai’s the mood might change, but not much. Bound is classic without being stuffy and Drai’s is all about the modern party. Now that you’ve had your cocktails you can really get going with the outstanding music and performances that this club brings and, weather permitting, you may even be able to get an amazing view of the Las Vegas Strip. Once you get to Drai’s you damn sure won’t be crashing anytime soon. Magical mixology at Vista. Photo courtesy of Vista. In Las Vegas, you don’t even need to leave the casino to get an amazing view. Vista, just off the casino floor at Caesars Palace, proves that with its incredible design elements that make you feel like you’re floating above cities beyond dreams. That feeling only increases with the number of drinks you down. Hanging out at Vista gives you the sense that you’re a part of something huge that stretches around the whole world. That’s a nice feeling to have before you hit up something as otherworldly as Omnia. All the awesome at Omnia. Photo courtesy of Omnia. 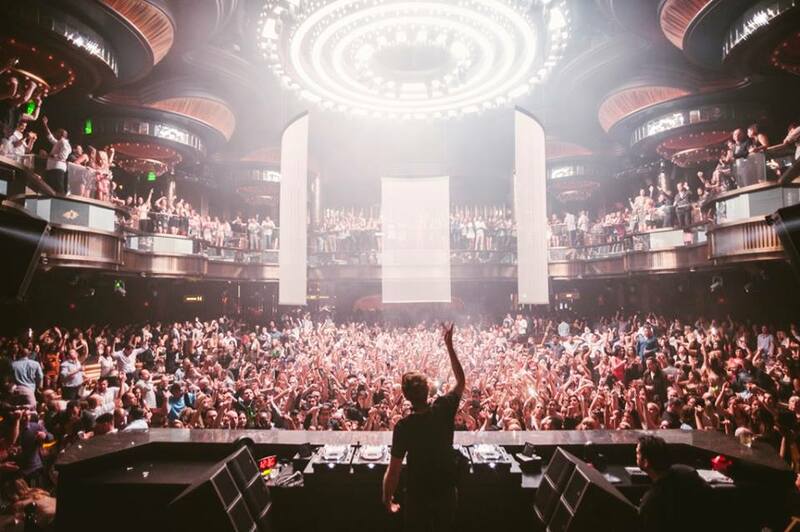 When you get into Omnia, one of the first things you’ll notice is that amazing chandelier. And yes, being directly underneath it, or on the mezzanine looking out at is, is as alluring as you expect. After the time spent getting glimpses of the real world, being at Omnia is a welcome change from that whole silly reality thing. But don’t worry, if the party planet atmosphere isn’t totally your thing, the patio gives lots of fresh air. 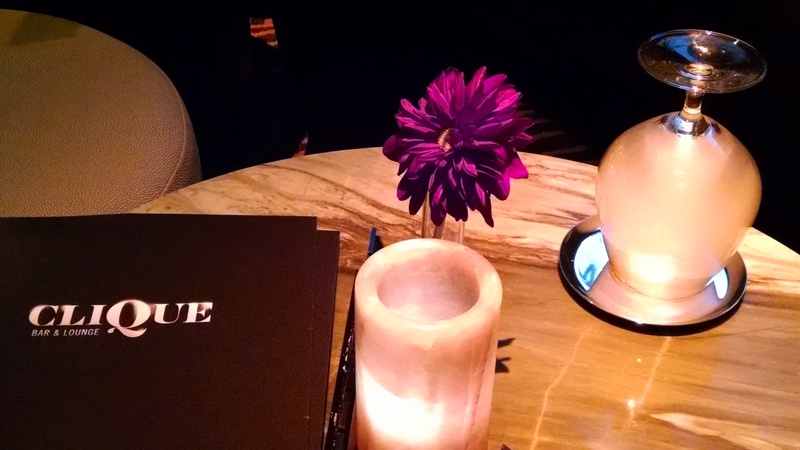 The type of table service you can expect at Clique. Yeah, that’s an upside down cocktail with a flaming banana under there. Photo courtesy of Clique. The Cosmopolitan has always been a nightlife hub. With bars like Chandelier and Bond, it’s no wonder we like to pre-game here whenever possible. But for making plans for a perfect night, you gotta hit up Clique. This bar is great for pre-gaming because you can get right into the action of cocktail prep. Tableside mixology service lets you watch the cocktails being made and even have a hand in their creation. They use superb ingredients and techniques to make sure you leave the bar with a wealth of memories. It’ll definitely give you something to talk about once you get upstairs. People partying at Marquee, the way partying is meant to be. Photo courtesy of Marquee. On the second floor, or third or fourth or higher depending on how you’re counting — up one escalator from Clique — is Marquee. 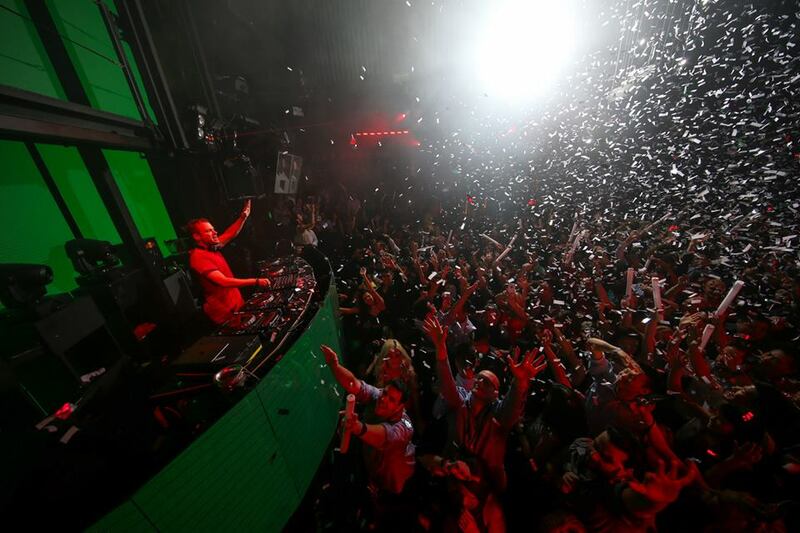 This is a classic club that we hope will be rocking Vegas for decades. It holds onto the atmosphere of the Cosmopolitan perfectly and it will take your night to new heights after the coolness of Clique. You’ve had your intimate and attentive experience. Now it’s time to shut out everything but the music and give yourself over to Marquee. Like bars and nightclubs? Check out our Bars Page and Nightclubs Page to make your own bar/club mashup.